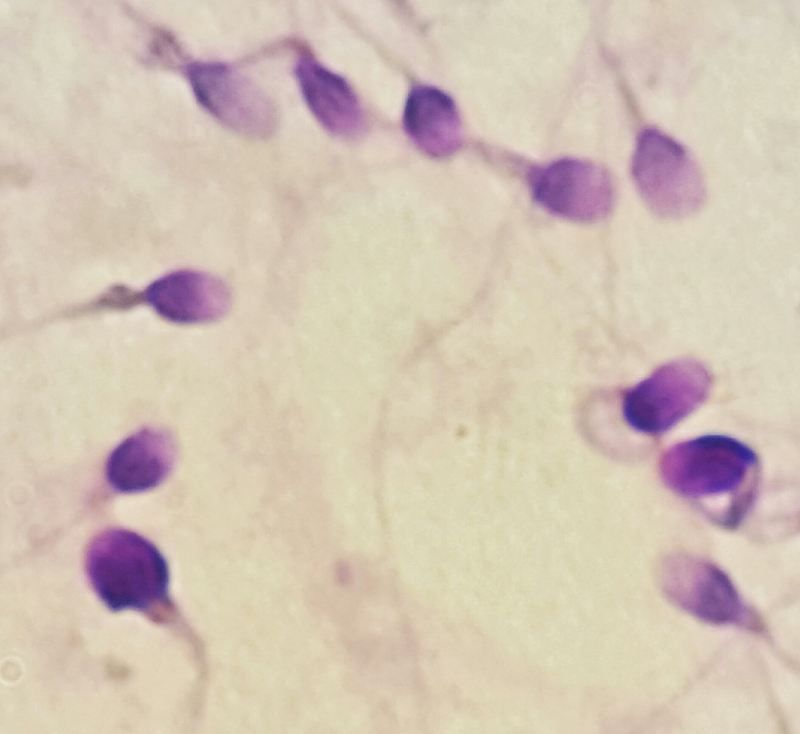 Dark colored sperm associated with damaged chromatin and DNA fragmentation. The normal cut-off >68% is similar to other DNA fragmentation assays (J Reprod Med. 2015;60:6). Spot the single DNA damaged sperm? 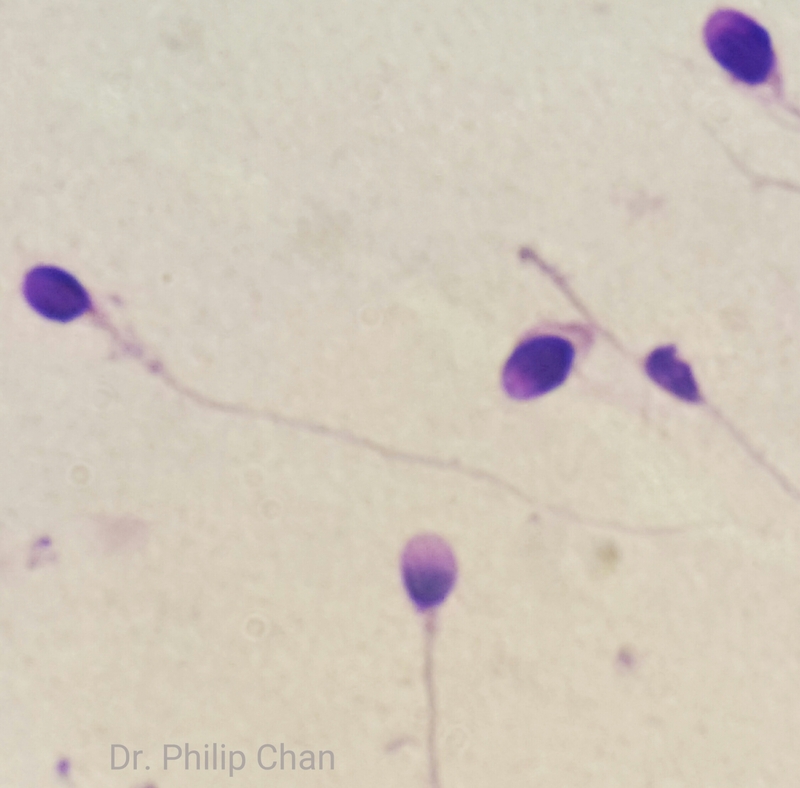 The dark-colored sperm is due to increased dye binding at broken DNA or exposed chromatin structure. Can you see 2 DNA damaged sperm? Another example of a single chromatin damaged sperm. For a change, can you spot the single undamaged sperm? For tapered sperm, DNA chromatin damaged sperm are completely dark (*). 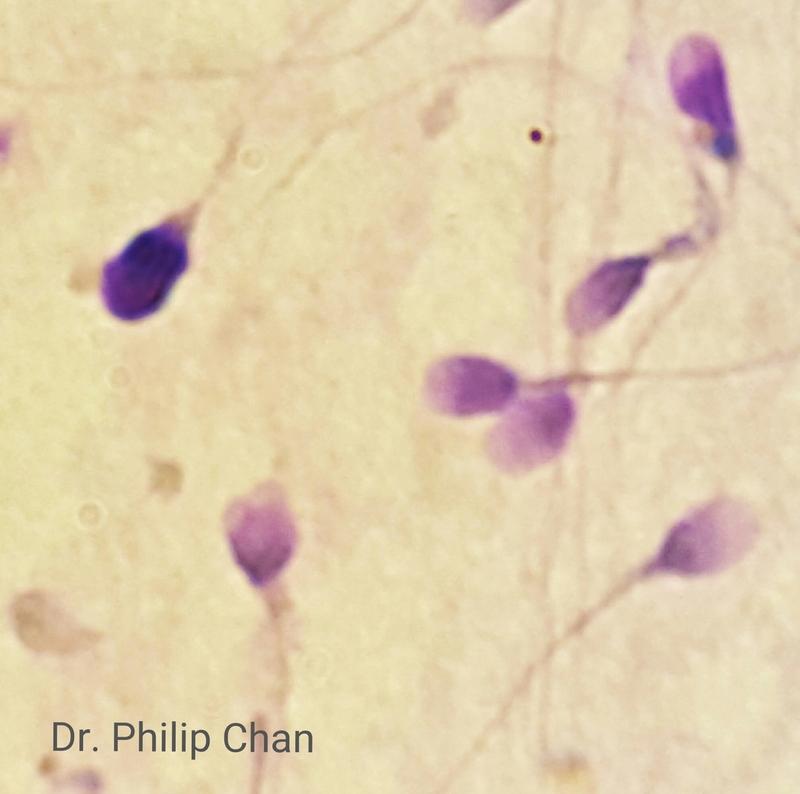 Hint: Focus on the color at the center of each sperm.